Grill Up This Tasty Mediterranean Portobello Burger! 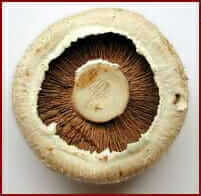 Brush 1 teaspoon olive oil and sprinkle pepper over each portobello. Grill the mushrooms for 2 minutes on each side. Add the onion and grill. Turn the mushrooms so that the top of the mushroom cap is on the grill. Fill the underside cavity with the garlic, bell pepper spread, and olives, and season with salt and pepper. Grill for another minute or two. Place each portobello mushroom on a few lettuce leaves (cap side down), add 1 teaspoon feta cheese, 1 grilled onion slice, 2 slices tomato, 2 basil leaves, and sprinkle vinegar. Close the lettuce leaves to sea and serve immediately. 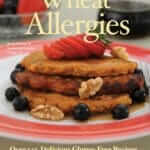 Reprinted with permission from Cooking Well: Thyroid Health. ISBN: 978-1-57826-393-6 $15.00 (paperback). From Hatherleigh Press. Distributed by Random House. 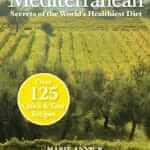 Nutrition, Recipes mediterranean, thryoid health, vegetarian permalink.